The day starts early with a pick up in Arusha then a 3 hours drive through the rich agricultural area at the base of the mountain, this varies from hand tilled small holdings to large commercial farms before giving way first to plantation forest and finally to indigenous forest . Once through the park gate the road climbs more steeply up a rough track moving quickly through the different layers of vegetation from thick mountain forest with towering trees gradually giving way to the giant heath. These giants initially tower ten to fifteen feet high but as we get higher they become gradually shorter, when we crest the final rise on the plateau they are only a few feet high. From the parking area at the edge of the plateau we can strike out in any direction, following the myriad of small animal tracks to meander our way across the plateau. The guide will carry trail food and a picnic lunch, each hiker needs a small rucksack to carry water, warm clothes and full waterproofs – the weather can change incredibly quickly as clouds swoop down from the summit. We have warm and waterproof equipment for hire. A pair of stout walking boots are needed as in some areas the ground can be soft. Mid afternoon return to the vehicle and bump back down the track and across the plains to Arusha arriving back at the hotel late afternoon or early evening. The Shira Plateau is one of the most fascinating and scenic areas on Kilimanjaro. It is well worth a visit just to explore the ridges and moorland. 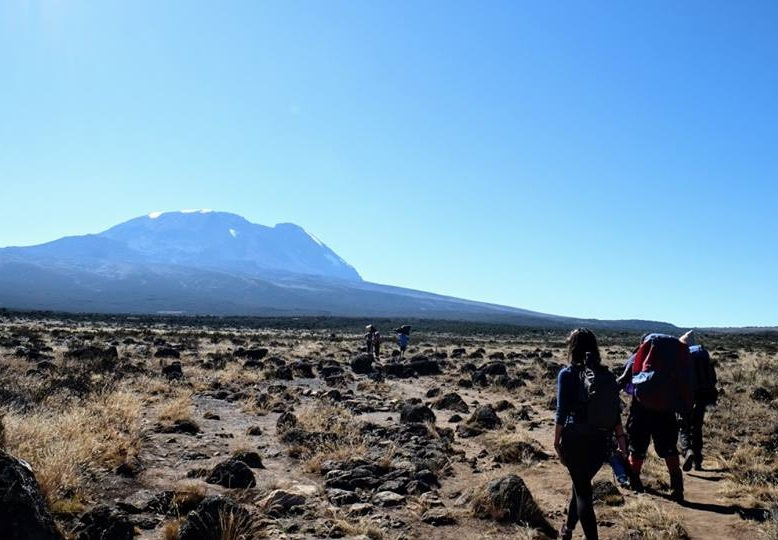 The Shira Plateau area of Kilimanjaro offers a fantastic opportunity to get high on a big mountain and to hike around this impressive World Heritage Site as a day trip. Shira is a large, rocky plateau whose landscape was shaped by the lava that came from Mount Kilimanjaro when it was an active volcano. You will take a vehicle to 3,500 meters and continue to explore the area on foot. The plateau allows you to get a taste of this spectacular mountain and its many ecosystems and also provides a stunning view of the perpetually snow-capped summit of the world's tallest free-standing mountain.